The Carousel is accepting donations for a bench that will be placed in the Carousel in memory of Brandon Bryk (1983-2016). More information about the fund follows. To contribute, enter a dollar amount below; you will be prompted for your credit card information. Thank you! 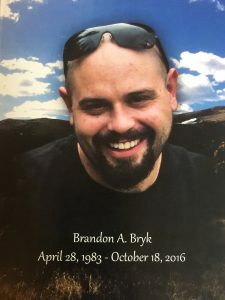 Brandon Bryk, a long-time local Nederland resident, was a man with great passion and loyalty, whose life was exemplified by the motto “Live, Laugh, Love.” Brandon’s family and friends were the most important thing to him. The Community Memorial Bench, inspired by Brandon, is dedicated not only to him, but to all of those within our community who we have loved, but are no longer with us. The family, the Carousel of Happiness, and Marion Reynolds (the creator of the bench) have come together on this project to fulfill that vision. The Community Memorial Bench will be placed in the Carousel of Happiness building, a place near and dear to the community. We are accepting donations for the creation and installation of the bench. We hope that all residents who would like to memorialize a friend or family member will consider donating. The bench will be metal, with the Sun, Moon, and Tree of Life incorporated into the design. A memorial plaque will be hung above it and all donors will be recognized. 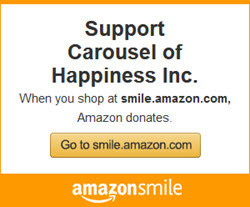 The Carousel of Happiness is a 501c3 organization registered with the IRS. Donations are tax-exempt to the extent of the law.